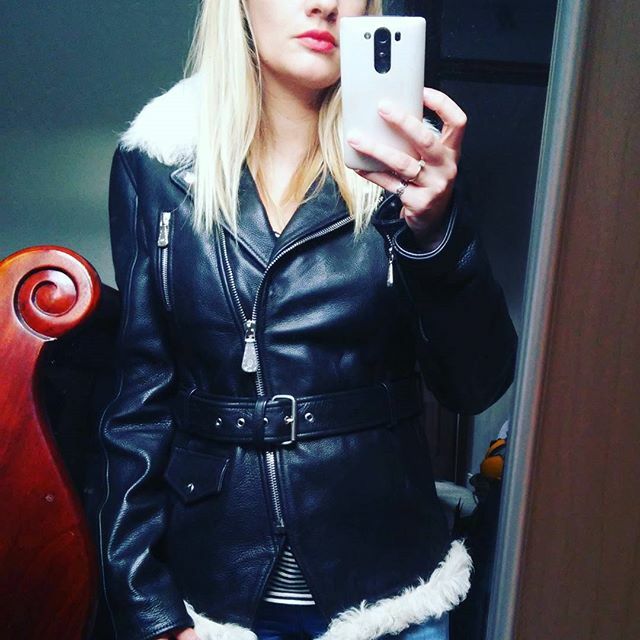 I have quite a serious leather jacket addiction (as previously chronicled on Glamour.com). As a new mum, now is probably not the time to be adding to my collection. HOWEVER, sometimes you find a piece so beautiful that you have to have it. Along with leather bikers, I also have a serious penchant for shearling, and this McQ beauty combines my two loves. A snip at over 60% off on The OUTNET, this belted biker was just screaming at me to buy it, especially after three very long night feeds that culminated in a 2-hour cluster feed at 5.30am. I wanted it. I needed it. I BOUGHT IT. And since it’s the first thing I’ve bought that isn’t for Jack in months, I sort of feel like I deserve it.